THE NTMA HAS announced that it has has sold the planned €500 million of three-month Treasury Bills at an average yield of 0.2%. Total bids received amounted to €1.82 billion which was 3.6 times the amount on offer. The interest rate on the bills is exactly the same as that which pertained in a similar sale in June and April and suggests that the market view on Ireland remains steady, something which could lead to Ireland selling long-term bonds later this year. This prospect was boosted by the recent decision by Rating’s Agency Standard & Poor’s to revise its long-term outlook on Ireland to positive. The Troika today also completed it’s eleventh and second last review mission as part of Ireland’s EU-IMF bailout programme. The Troika said it had examined the progress of the structural reforms undertaken by Ireland earlier this year. The completion of the Q2 2013 programme conditions brings to over 230 the number of commitments that have been fulfilled on time and we have now drawn down some 91% of the available funding. Email “NTMA sells T-Bills as Troika completes penultimate review”. 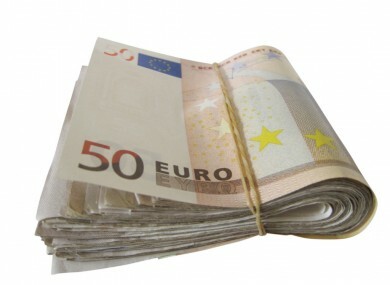 Feedback on “NTMA sells T-Bills as Troika completes penultimate review”.